Hi Greg, thanks for setting aside the time to speak with me today, can you start by giving a brief introduction to what you do? Hi Jay, sure. I’m a LinkedIn coach and trainer. I work mostly with SME’s, one person businesses, coaches, consultants, start ups, businesses up to about 300 employees and I help them to find, win and keep clients. At Animas, much of the social conversation or certainly the way we communicate with our community tends to be via Facebook… so I guess my first question is, what are the benefits of being on LinkedIn and how big is the platform? Well, LinkedIn has just gone past the 500 million users mark globally. In the United Kingdom, we account for around 23 million users, 3 million of which are in London, in fact, London is the most active City. That’s very interesting to hear, as you know we are a London based school and many of our students will be living in and around the London area, so its great news to know us Londoners have the best possible opportunity to find and connect with clients on LinkedIn. Why do you think LinkedIn is especially good for coaches? 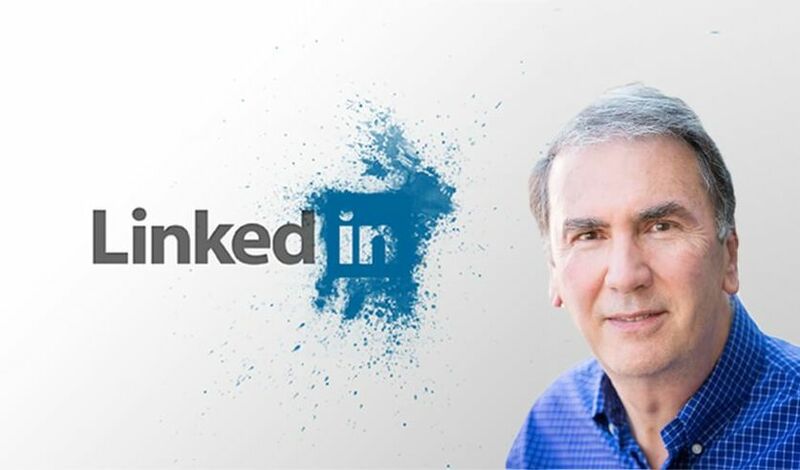 LinkedIn is quite unique really, as it gives coaches direct access to individuals preferred target audiences and groups, whether a coach wants to work with small business owners or large organisations, their audience will be on LinkedIn and they can then find and engage with that audience. Many business coaches will also be life coaches, of course, both audiences are very accessible through LinkedIn. Ok great, so you’ve sold me on LinkedIn, how do we go about building a professional looking account to stimulate and engage potential prospects? LinkedIn is the professional shop window, it’s a place to show off your expertise and what you are about. I was having a conservation with someone recently and we both came to the same conclusion about the single biggest mistake people make on LinkedIn. And that’s having an unprofessional looking photo, it’s so important to get this right because it’s the first thing people see, it’s where your psychological relationship starts with that person. Classic cases are – someone with half a jug of beer in their hand, bouncing a baby on the knee, the mysterious hand on the shoulder, it just looks so unprofessional. I agree. I remember some of these examples being flashed up on screen during your presentation at this years ICF conference. Many people seem to think it’s an extension of their Instagram account, it’s important to keep in mind that it’s your personal brand that’s on show here. Absolutely, behind your photo, there’s an opportunity to put another image (banner) this is a great place to reinforce your brand, as a coach you may want to have a nice, clear image of yourself coaching a client. There is also a summary section where you have the chance to tell the ‘story’ of what you do, with the aim to be received well from a clients point of view. Keep it simple… ‘what you do’ and ‘the value you can bring them’. The secret is you are not writing the summary section for everybody, write your summary for who you want to attract. Just keep in mind you are trying to build relationships and gain credibility, see LinkedIn as nothing more than a relationship building platform. Some tips on how to build credibility are – get testimonials from your clients or if you’ve worked with big corporates, why not mention and feature them on your landing page? Another great tip is to include key words, ask yourself, what do you want to be found for? is it for transformational coaching, executive coaching, are you a coach for vets? There will be lots of other words that people will be using to try and find you. Yes, this is very true of most social media platforms…for example –someone maybe needing a business coach, but they’ve been searching for ‘business mentor’ in the hashtag (#) search, but in reality, they needed a coach. I have become super aware recently that people use social media platforms as search engines. Most social platforms have been around for over a decade now and the platforms have been accumulating the data on all our likes, preferences and groups we follow, not to mention what we’ve been buying, what we like to eat and where we have been on holidays. Big brother has truly arrived, but we can also use this data to our advantage of course. There’s a debate here, some people say it’s all about the quantity of content you put out, others say it’s strictly about the quality you are delivering. I’m saying the optimum strategy is doing a mixture of the two. The bigger you grow your network, the more opportunities you will find and will find you. Make sure your content is relevant to your audience or people that might know your audience. Here’s an example, let’s say your target audience is ‘senior HR managers’, it may be difficult to connect with them at first, but if you start connecting with the HR people around them within the organisation you will start to build a network within the organisation and industry. In your opinion, what makes for a good approach once you’ve made the connection? I’ve had the experience many times of accepting a request to connect, then immediately being hit with the sales pitch for their product or service. Here’s another good example. One of my personal connections is an executive coach, he works with board level people in medium sized companies. Every time he reaches out to make a connection with someone, he always starts with a warm introduction from a mutual connection. Once he connects with a person, over a period of 2-3 weeks he will share 4 or 5 pieces of content with the person that he feels will be relevant and useful to them. He’s building a relationship, there maybe be some messages going back and forth if the person likes the content, but there is no attempt what so ever to pitch his business or service until the relationship is built. When he feels the relationship is a little warmer, he then offers a free 2-hour executive coaching consultation on a subject of the prospect’s choice. This gives the prospect a taste of the offering. I happen to know that this coach gets around £30,000 of business a year directly from LinkedIn, that just one of his revenue streams. So by giving value, he earns the right to pitch his service, but the key is remaining patient and engaged, right? Yes, the worst thing you can do is go quiet, make sure you are getting involved with the convention, leave comments, share things of relevance and keep putting out regular content. If I’m a coach on LinkedIn and I don’t consider myself to be a creative person or don’t have the ability to create bespoke content, how do I go about getting lots of content out there quickly and effectively that will help drive some engagement for me? Repurposing, reposting and sharing. There’s really no shortage of relevant content in the coaching industry, you have the coaching governing bodies websites, media management websites, YouTube. There’s Google alerts, it’s a free service. The idea is that you enter some pre-set key words around your relevant industry, business or service and you will receive an email update every day with links to blogs on your chosen subjects. I’ve got an alert set up for the word ‘LinkedIn’ and I get around 4 or 5 new pieces of content on all things LinkedIn every day, I can then choose to share with my audience. We’ve mentioned the poor profile picture and the premature sales pitch. LinkedIn is not a CV, it’s a reputation building platform, oh, and the other big thing is not to be a LinkedIn slouch, you’ve got to turn up regularly for people to feel comfortable with you. Final question Greg. I personally go through periods of over using social media, it’s especially important for me to manage my time correctly as it’s a big part of my job. I know many of us are guilty of getting distracted, subconsciously looking for that ‘stimulation’ or ‘dopamine’ hit and before you know it 20 minutes have passed. My question is how do you manage your time on LinkedIn and social media as a whole? When people send me messages I try to get back immediately and if someone mentions me I have a notification alert set up, but generally, I’ll check in about once a day to see what going on. So a healthy user then. Yeah, I think when people are on LinkedIn they are much more focused, it’s about business really, people don’t tend to just to hang out on LinkedIn. Lastly, If people want to find out a bit more about you, where can they find you?